The town centre of Nuneaton has grown quite rapidly over the years and as you all know the ring road now runs close to the centre and can be a nightmare to negotiate at peak times. The demolition happy council of the 1960/70's overlooked how much the town would grow in the coming years. 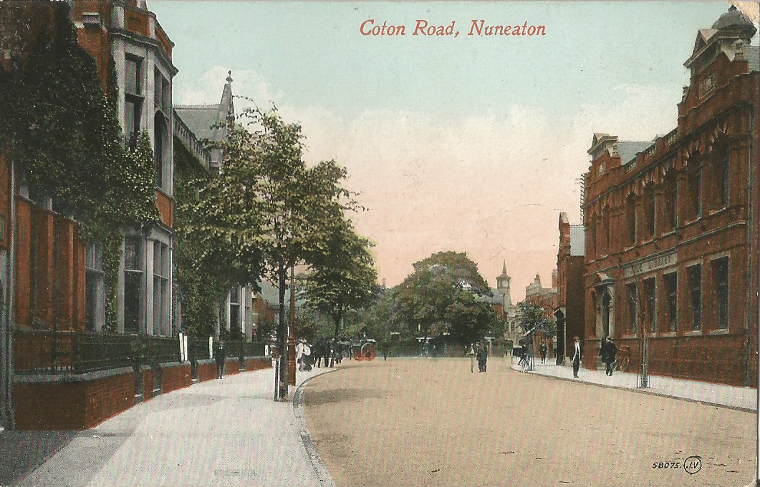 Nuneaton in the mid 19th century consisted of about four streets and most of the population lived in Abbey Street would you believe. Just over 100 years ago, the town was a hive of activity. Market Place was the location to do your shopping, meet friends and be entertained in the many public houses. Reginald and his business companion and local landowner James Tomkinson had plans to develop and expand around the Abbey Green area, Reginald set about improving the look and feel of the town. Below are links to some of the buildings he was involved in please click on them and have a read.